- Ships travel to/from "jump points" which are located far from the "distortions in space caused by stars and large planetary masses"
Which made me wonder what other literary influences we can see at work in BattleTech. Isaac Asimov's "Foundation" featured a universe with only humans, a collapsing empire and wars of succession, rebellions in the periphery, and a group dedicated to preserving technology and rebuilding after the dark ages, who cloaked that technology in religion and mysticism. James Clavell's Shōgun is a clear model for Draconis culture, for ComStar as a communications service and intermediaries (and possessed of a secret army), and feudal scheming in general. I'll credit Neko_Bijin(?) for noticing that it also matches BattleTech for how secret and esoteric navigational and ship-building knowledge is. Starship Troopers is an easy guess for the Capellan "service brings citizenship" ethos, and for Clan Battlesuits; it also has "DropShips," but I don't remember if there's a more likely source for that. A Canticle for Leibowitz shares broad elements of apocalypse, grand politics and tech priests with BattleTech, although I don't know if I can separate that influence from Asimov's Foundation and other later works. Ender's Game seems like an easy model for Clan Warrior creches. Heinlein's Time Enough for Love has a Human Sphere of the same size and populousness as BattleTech's Inner Spere; the brief descriptions of Earth during the 21st century seem to line up with BattleTech's history (though I've yet to read his other books which cover that more directly); some of the eugenic discussions may have influenced Clan eugenics; and Stackpole's original biography from the Warrior Trilogy seems to be adapted from a conversation late in this novel. You all realize that similarities are not the same thing as influences, right? The games that FASA was making at the time? But the "J. Rico" nameplate on the color plate illustration in FM: AFFS for the Infiltrator II armor suggests that "influence" applies in some instances. That’s really more of an homage than an influence. Again, though, similarity is not the same as influence. One scene in a situation with limited descriptive possibilities doesn’t amount to much, IMO. The two are overlapping but not identical sets, sure. I would assume that clear and deliberate copying - particularly of aspects which are fundamental concepts or workings of the setting - would qualify as "influence." I don't think homages are a bad clue to where the influences were. Where would you draw the line between "influence" and repeated incidents of homage? 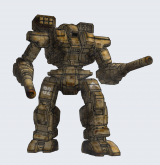 Edit: Would you care to offer your own example of literary influences in BattleTech? I don't think there is any one, single, universally accepted definition of "literary influences," but the thread has generated some ideas of books that people see having parallels or similarities to BT, which is what I was after, so why quibble? (For what it's worth, I was thinking in terms of characters, concepts, scenes or storylines that seem closely imitated or adapted from other works). I've heard of "Hammer's Slammers" and "Canticle for Liebowitz" but never thought of them in this context, so I might give them a read next. Thanks for the suggestions guys! "Starship Troopers" I thought was a good catch, though pretty much any fiction involving power armor probably owes a debt to Heinlein in much the same way that nearly all modern fanatasy novels are in dialog one way or another with Tolkien. "Foundation" and "Shogun" on the other hand feel like a stretch, but I hadn't thought of either in that light before, and new perspectives are always good. Again, the point is not to shut down discussion but to promote it. On that note, anybody ever read Gordon R Dickson's "Dorsai!" (1959)? It's a classic, about a splinter culture of elite mercenaries, so I thought that might have provided some inspiration for the Clans. No? skiltao raised an interesting point about movies/TV shows that might have influenced BT. Obviously, Macross/Robotech was a TV show, and that had just a wee bit of influence. I seem to recall discussing something similar with Mendrugo in another thread, where he made the point that the tone varies a lot depending on the author ... Stackpole, for example, I could believe was influenced by pulp stories like Star Wars, Flash Gordon or Buck Rogers. Maybe Clancy's Jack Ryan stories, too. 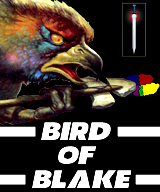 If you're looking for influences on third party licensees, it's evident that Blackthorne seems to have been under the impression they licensed Flash Gordon and/or Guardians of the Galaxy, what with the blue skinned Capellan ministers in full Ming the Merciless getup, and ROM agents with pointed ears, dorsal headfins, and longbows. I mean, Die Hard influenced the officers names in a Davion unit but I wouldn't say it was an influence on BattleTech. 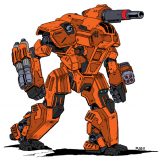 Gundam, on the other hand, both provided names (Zeta Battalion members) and helped define the Japanese mecha aesthetic which inspired BattleTech. Gasaraki was apparently the inspiration for protomechs according to one of the writers on these boards several years ago. And it makes sense, while some might point at VOTOMS that implementation was very different whereas the Gasaraki treatment was far closer. Not just in size and agility but in having the pilots operate the suits at least partially by synching themselves to the machine, and in blurring lines of self and machine in the process. Gasaraki was apparently the inspiration for protomechs according to one of the writers on these boards several years ago. According to Wikipedia, the anime Gasaraki aired from 4 October 1998 to 28 March 2000. Technical Readout: 3060, which introduced ProtoMechs, was published in September 1997. Well I guess that makes both me and the guy who originally posted that wrong. But that's a very close coincidence, both within a year of each other and the similarities in piloting, size, agilty and other aspects. It makes sense that he would point at that as an inspiration depending on which one he encountered first. Or possibly other writers pointing at that as an example of the sort of thing they were aiming for when they created Protomechs. Maybe indirectly, in the sense that Gundam is one of the defining works in the giant mecha genre. Gundam came out in 1979, Macross was in 1982, and it's the latter that provided the Wasp, Stinger, Valkyrie, Phoenix Hawk, Crusader, Ostroc, Ostsol, Ostscout, Marauder, Warhammer, Archer and Rifleman designs. Mind you, the only Gundam I've ever watched was Gundam ... W? Wing? Something like that. The two tropes I'm glad didn't make the jump to BattleTech are "mecha can only be piloted by teenage kids" and "mecha are hero units that can easily kill everything." On that note, what about the influences/inspirations for the game mechanics of BattleTech? I was trying to think of what similar games had appeared before it was released in 1984 ... Star Fleet Battles (1979) features a schematic for each unit that lets you record damage to specific components, much like BT does. Ogre (1977) was a scifi combat game featuring hovertanks, armor and powered infantry was well as the eponimous super-tanks (and one side of which was called the "Combine" if I recall?). I second the Foundation suggestion, and yes the earlier novels are very Flash Gordonesque. A strong argument might be made for Dune, the way FTL, Comstar and the galactic social order is handled - smaller ships enter/attach big specialised ships which fold space and jump, all controlled by a nominally-neutral organisation which can interdict a challenger to the status quo. Catastrophic misjumps can occur. A neofeudal social system exists where related Noble Houses control each planet and/or state and fight each other for planetary control and resources. House troops are supplemented by mercenaries. Battletech seems greatly influenced by human history however. Which is obvious since the decision to cut out aliena and robots cut out like 99% of science fiction at the time, leaving the writers with the above examples and our own history. Mind you, the only Gundam I've ever watched was Gundam ... W? Wing? Something like that. The two tropes I'm glad didnt make the jump to BattleTech are "mecha can only be piloted by teenage kids" and "mecha are hero units that can easily kill everything." Watch the recent Gundam Iron Blooded Orphans season 1 and 2 please. The extensive similarities to Battletech are uncanny and it lampshades and tackles both those 2 tropes head-on. Plus the plot and action are decent. I'll tease you with the premise - Earth and its colonies are controlled by 4 states, policed by 1 supposedly neutral military organisation who also controls space traffic and communication. A bunch of war orphans who are forced to be child soldiers set up a mercenary unit with Lostech they found. I don't know old wargames enough to guess what the mechanical inspirations were. Keith Laumer's Bolo series seems like the obvious inspiration for BattleMech designation codes; that suggests Ogre, which in turn suggests Car Wars. On that note, anybody ever read Gordon R Dickson's "Dorsai!" (1959)? I think Canticle for Leibowitz is sort of like Starship Troopers, in that lots of later fiction owe it a general debt. The specific scene that struck me, though, is where a relatively civilized nation wants to ally with a relatively illiterate and warlike people - to me, it resembles Melissa's marriage with Hanse, but it could also be that everyone is just copying whatever history the GoT Daenerys/Drogo marriage is based on. "Foundation" and "Shogun" on the other hand feel like a stretch, but I hadn't thought of either in that light before, and new perspectives are always good. Shogun's tea ceremonies are the first, last and only scenes I need to clinch it's influence on BattleTech. There's also how widely read it was at the time; judging from Wikipedia, it'd be more surprising if it weren't an influence. Dune is also a likely influence on the Free Worlds League specifically, given that their throneworld is named Atreus and their logo is an eagle. I haven't thought of more TV influences, but I do want to call out Hanse Davion's heart attack as an homage to Dougram; that suggests the treacherous minister there might be the inspiration for Michael Hasek-Davion. Huh. That could almost be the pitch for Dougram. Of the few Gundam shows I've watched (which does not include the more recent shows you mentioned, unfortunately), I think Gundam 008th MS Team is closest to BattleTech. As mentioned about I thought about Ogre--the timing is right... but then I thought about it again and aside from being a tabletop scifi game there aren't a whole lot of similarities (I think Ogres themselves were damaged bit-by-bit, so maybe there's that). Starfleet Battles seems a closer fit, as not only did it have "mark of boxes for damaging internal components" it also introduced an alternating I-go-then-you-go turn sequence, which is also in BT. Okay yeah, I can buy that--not as a specific place/setting inspiration, but being one of the major doorways into medieval Japanese/samurai culture for Western audiences at about the time that BT was coming out. That makes sense. (Might also explain why so many of the "Japanese" names in BT are either nonsensical or unpronounceable in Japanese--Shogun did the same thing). Oh absolutely, Dune was definitely an impact on the overall setting, not just FWL: the whole idea of noble space "Houses" warring for control almost undoubtedly comes from this book. I hadn't considered the nonsense names. That's a good catch. Flipping through the Blood of Kerensky Trilogy, I think Phelan's assimilation into Clan culture was patterned on the Anjin's assimilation into Japanese culture; Phelan's supporting cast have pretty obvious parallels as well. Dougram: Fang of the Sun was pretty inspiring - not only designwise. It is a difficult series to watch today but tries to portray the warfare in a very Battletechy manner. Isaac Asimov's "Foundation" is what comes to my mind first when I read introduction to classic Battletech (especially pre-Clans). You're about the third person to mention that! It still feels tenuous to me, but hey, who's complaining? The one story thread from Foundation which I think SHOULD have made it into BT (but didn't) was the one where they face a brilliant admiral who is poised to crush them ... Then gets recalled by his own side out of jealousy / fear of his popularity and success (spoilers for a 50 year old book). In a feudal system, built on personal loyalty rather than the rule of law, you could have a great tragic hero along those lines. To me, Foundation resonates with BattleTech most strongly in the middle of the first book in the series, when the Foundation sends out "techno priests" to establish a "religion of technology" among the technologically regressed worlds of the barbarian Periphery, with the goal of making them dependent on the Foundation and laying the groundwork for their future assimilation. May the Peace of Blake Seldon be with you. The climax of said episode is when the Foundation's priests lay an Interdiction on those worlds and cut off all nuclear power and FTL communications. Been rereading the Foundation Trilogy this past week. The remnants of the Empire use ancient power plants and weapons which run automatically and they have no idea how to repair let alone rebuild them. This includes warships which might be equipped with weapons salvaged from even older, more advanced vessels. Compared to the Empire, Foundation tech is miniaturised partly due to the scarcity of resources in the Foundation worlds - sound familiar? Oh, and another thing - Foundation is one of the rare space-scifi series that does not have aliens. P.s. much of the Mule and Second Foundation story takes place on Kalgan, the entertainment planet of the galaxy. Sure, along with time travel. Heck, he wasn't even the first with Roughnecks. actually the early Grey Death legion novels read somewhat like the longer Slammer's books in feel.. combat is gritty and nasty, and the main driver of the plot is how the politics of the conflict in question just make thing more complicated for the mercs. though the Slammer's would find Greyson's fixation with honor and minimizing collateral damage humorous at best and a suicidal hang up at worst. just beware of the Master Mule..